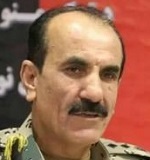 1TV: Abdul Fattah Frogh has been suspended as commander of Afghan Public Order Police after he issued a letter that was criticized for alleged discrimination against a particular ethnic group. In the letter dated 18th November, the command citing presidency’s instruction asked a Kabul brigade to provide names of possible members excluding Tajiks for an anti-riot unit of 500 members. Click here to read more (external link).